Hey there. I love a great set of headphones. I have a set of headphones for all kinds of occasions. I have a few for running, a few to rock out to at the gym, a set to use while doing yard work, and a set to use while commuting to work. The best part is that each set is perfect for the task at hand. The gym headsets get out of my way, the yard work set has awesome noise reduction, and the running headsets stay in my ears and have moisture protection. I even have one for online work and online gaming! The only headset that I don't really have is a lounging around in the house just chillin' headset. That's where Direct Beats Systems (dBs) comes in. 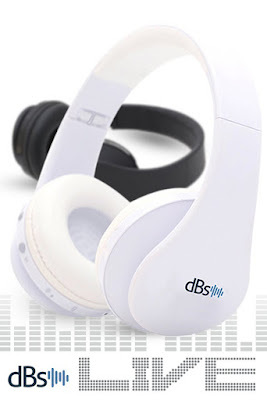 Our good friends at dBs provided me with the dBs Live Wireless Stereo Bluetooth Headphones to try out and review. And you know what... they couldn't come at a better time. The dog days of Summer are on their way and I am looking forward to just lounging around and listening to some of my favorite tunes. But before I get into my experience with these headphones, lets talk specs. 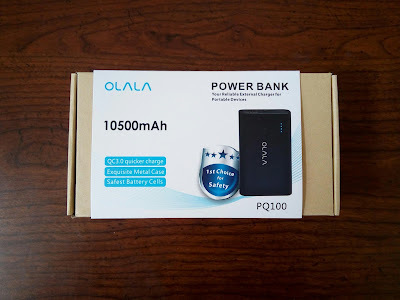 Compatible with Bluetooth Version 4.0 and below. but in no way a deal breaker. Alright so let's get right into my first thoughts. No instruction manual. Hmm... Well, I guess we don't need one, right? I mean how hard can be to figure out a pair of headphones. lol The dBs headphones are definitely light weight and light weight is not an understatement here. The dBs Live Bluetooth Headset is extremely light. Only 7 ounces or so. A far cry from some of the other over the ear headsets that I've had my hands on. Also, they feel very soft. Even though I believe the headset is made out of plastic, there is a soft feel to them. They feel as if an extremely soft and invisible velvet coating is around the plastic. I thought that was pretty cool. After slipping them on, I noticed that there was just enough pressure to cover the ear canal to keep the headphones securely on your head. Also, I wear glasses and I was pleasantly surprised to notice that the headphones were not pressing the temple arms (handles??? You know... the part that goes around your ear) up against my head causing discomfort. Many, MANY, headsets that I've tried had too much pressure and cause too much discomfort so I wouldn't wear them for long. That was not the case at all here. You can also adjust the headset length to fit a larger head by adjusting the part that goes over your head. This is a pretty standard function so there's no surprise there. Also, just above each ear piece, on the inside handle, the left and right sides are marked with a L and R. Pretty discreet but in a good way. And lastly, the 4 buttons to control the functions and the on and off switch are all on the right ear piece and are perfectly placed to easily get to and press. the pictures near the buttons should help. Now, for my experience. As mentioned, I plan on using this headset exclusively during the dog days of Summer but for the time being, I needed to break them in. I got comfortable in my lounge chair and turned on the headphones. I noticed that they immediately went into pair mode (flashing red and blue LED light). I enabled Bluetooth on my phone and started looking for the dBs Live device. Almost immediately, the LED light stayed blue. That usually means that it's connected. Let me check my phone... Hmmm... No luck... before I could even get a thought in, I started hearing music playing in the headset. Hmmm... that's weird... it's not my music. Then... my 16 year old son comes out and says that someone connected to his Kindle Fire. lol Turns out that he just so happened to enable Bluetooth on his Kindle Fire right after I turned on the headset and it immediately connected to it. Lesson learned: the dBs Live Bluetooth Headset will connect to the first available Bluetooth enabled device that is in search mode. Once I connected to my phone, I started to play music. The bass is good, the sound is crisp, and the noise reduction is not bad at all. Turning the volume up and down required me to HOLD the corresponding volume button. The same buttons also act as the track forward and backward button so simply pressing them would change the song on me. I need to remember that. I decided to watch a move and see if I can submerge myself in the film. Success!!! How successful??? Well... my 5 year old had to come and poke me to get my attention since I wasn't able to hear him calling me. lol Oops. lol But hey, the headphones did the job! I also wanted to test the call answering feature here. The microphone is located just under the right ear piece and wanted to see just how well my voice would carry during a conversation. I asked the wife to call me just to test it out. I answered the call by pressing the "phone" button started to chat. She said that I was coming in loud and clear. No static, no buzzing, no muffled sound. She compared me sounding to just how I would if I were on the phone. That was pleasant to hear. I don't use the answer call function on many of the headsets that I own because they are over sensitive or the quality is just not the best. But these are a little different. I might actually keep them on to answer a call here. So much for lounging around headphones, huh. These dBs Headphones are good for just about anywhere. To be quite honest, what else is there to say about the dBs Live Wireless Steroe Bluetooth Headphones? Sound is great, they are pretty comfortable, and connect via Bluetooth simply by turning them on. They are also available in 4 different colors: black, black and red, white, and white and blue. You can pick up one of these bad boys for under $40 at Amazon. For that price, you can't go wrong. Especially when you are getting sound and comfort that could definitely rival those higher priced headphones. Go and grab your dBs Live headphones today and let me know what you think! Later! to thank you once again for your kind words.